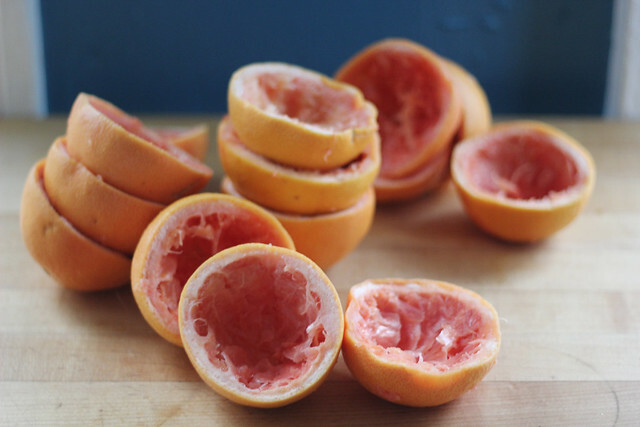 campari grapefruit ice pops. – !dpm does! We’ve been on a slushy-kick, lately. Campari slushies. Watermelon mint slushies. Cucumber lime slushies. There’s something about the oh-so-refreshing, brain-freeze-inducing, fun-with-a-straw beauty that is the slushy that makes sweltering summer evenings bearable. And delicious. We don’t always have the time to patiently coax our faithful blender through the somewhat painful-to-it process of crushing ice. So for back up, lest it die on us in the middle of this heat wave and in the middle of a recent birthday celebration, we made the next best thing: ice pops! 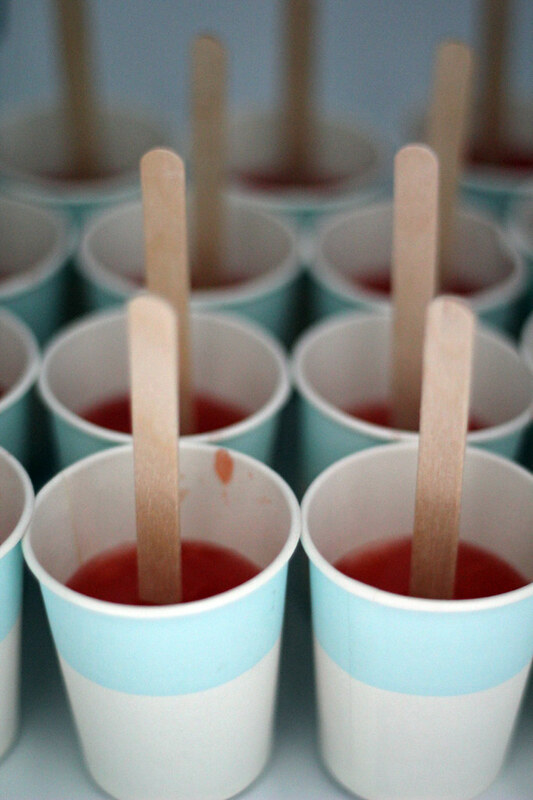 For the party, we went with Campari pops — it is our favorite aperitif, especially beloved in the summer, and grapefruit is its classic pair. We love these frozen cocktails – tart yet bittersweet. 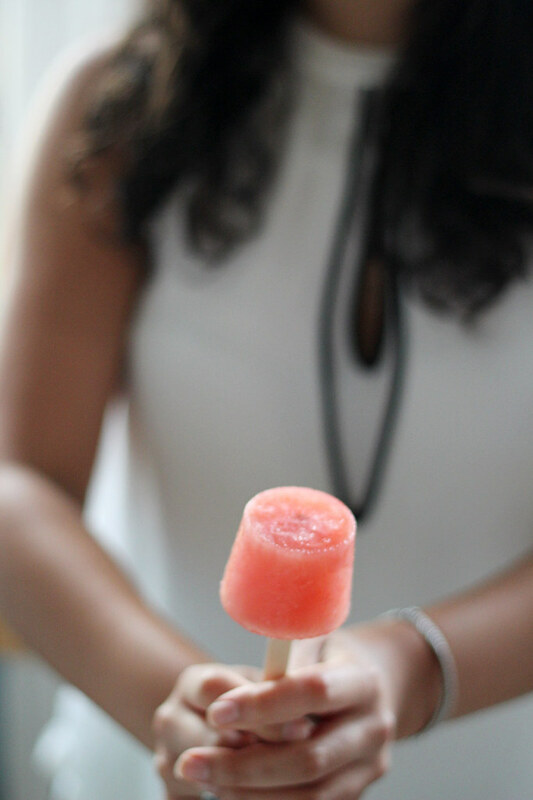 Nothing quite like an ever-so-boozy popsicle on an hot evening in July. Note on sweetness: The syrup measurement below is a guide; adjust the sweetness to your liking. Remember that the ice pops will be slightly less sweet when frozen. Popsicle is a popular brand of ice pop in the United States and Canada and became a genericized trademark for any type of ice pop due to its popularity. The first ice pop was created by accident in 1905 when 11-year-old Frank Epperson left a glass of homemade soda on his porch on a very cold San Francisco night. The next morning he went to go get the soda and it was frozen. Using the stirring stick that he had also left in the glass, he pulled it out and tried it. Thanks, eleven-year old Frank. We own you one. 3. 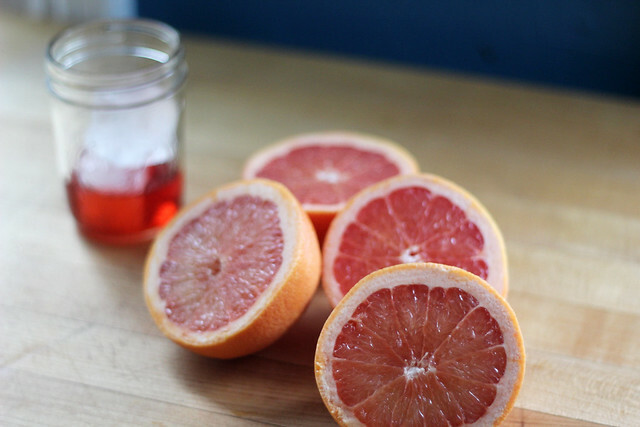 Mix juice, campari and syrup together. Taste and adjust sweetness and campari-ness to your liking. 4. Pour into molds. If using DIY molds, freeze for about two hours, until almost solid through –- soft enough to insert the stick, but firm enough to support it. 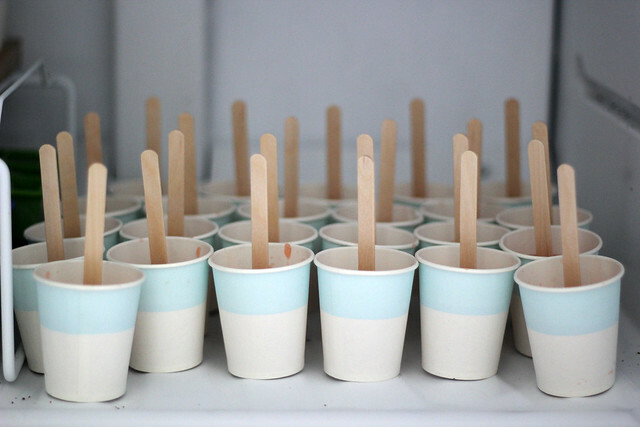 Insert the popsicle stick most of the way through, but not clean through to the bottom of the cup. Transfer the cups back to the freezer and freeze overnight. Next Next post: carrot top chimichurri.